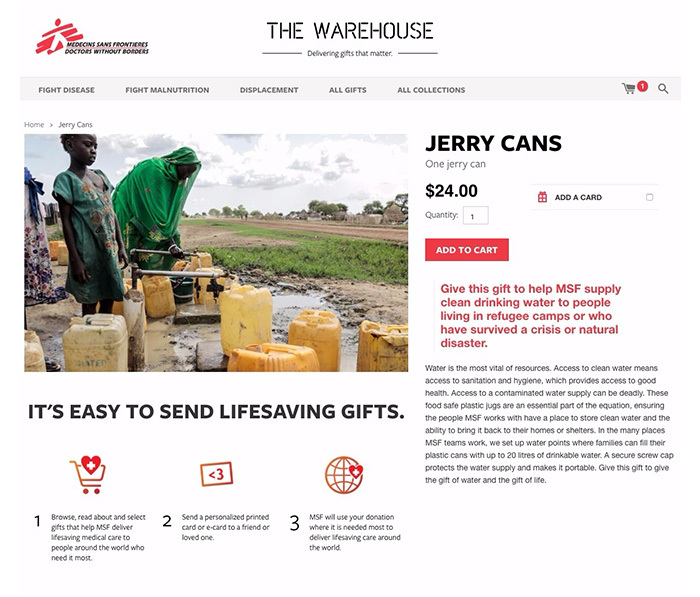 The MSF (Doctors Without Borders) Warehouse is a virtual gift catalog of the supplies used in MSF's field projects, as well as profiles some of the key people who carry out the work. You can choose from a variety of products (or collections) and send a gift e-cards to your friends – or just make a donation for yourself. 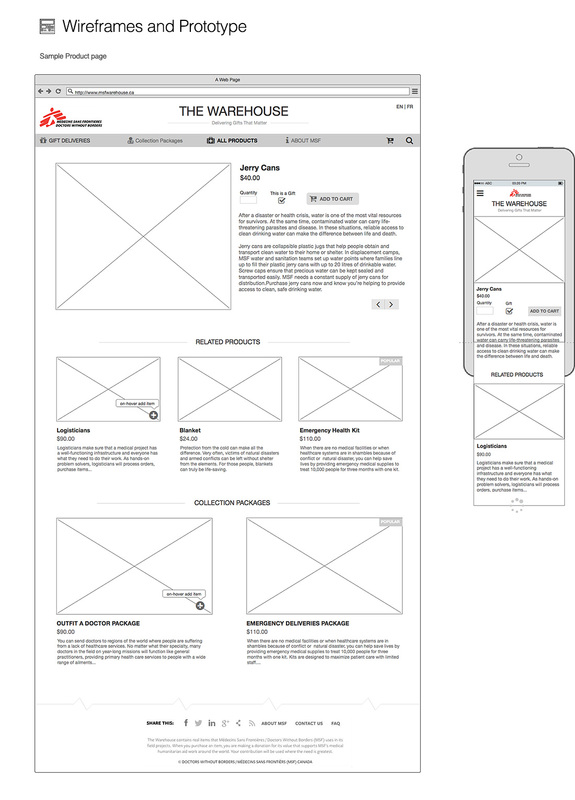 To redesign the e-commerce experience (products and e-cards) which would provide an enhanced online purchasing experience for the users, making it easy-to-use and meaningful to interact with.